45GB Tk333 Airtel New Internet Offer 2019! 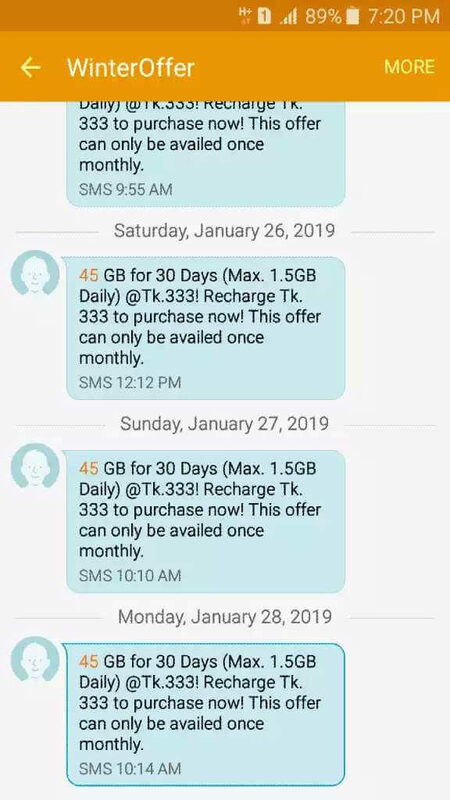 Airtel bd Recharge Offer 2019, Airtel internet offer bd 45GB for Tk 333 with 30 days validity. A customer can enjoy this offer by recharging 333Tk. 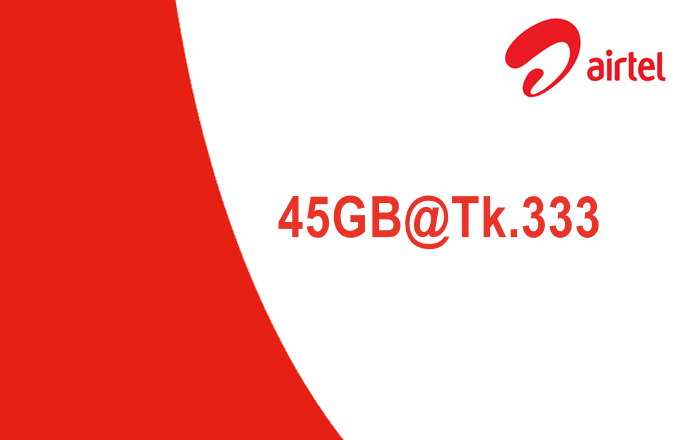 1 month 45GB Tk 333 recharge offer, Airtel 45GB at Tk333 code, this offer can enjoy only by recharge system. You can check Airtel New Internet Offer 2019 by Click Here; We always publish Airtel’s updated offers. So, stay connected with our website. Airtel best internet package 2019, just BDT. 333 for 45GB internet and 30 days validity, enjoy special customers. 45 GB for 30 Days (Max. 1.5GB Daily) @Tk.333! Recharge Tk.333 to purchase now! This offer can only be availed once monthly. Airtel special customer can avail this offer. To activate this offer you need to recharge exactly Tk333. This offer can only be availed once monthly.